But wait just one minute. If we look at this episode another way, we see that Wheaton’s recent strange action puts it smack dab in the mainstream of elite higher education these days. You’ve probably seen the story by now. As Christianity Today reports, political science professor Larycia Hawkins was suspended recently. Professor Hawkins planned to wear a traditional Islamic headcovering—the hijab—during Advent this year to express her Christian solidarity with Muslims. Non-evangelicals like me might not see the problem. But as Christianity Today pointed out, the question of Muslims and Christians worshipping the same God is intensely controversial among some Christians. It is tempting to see this episode as proof of Wheaton’s continuing status as a school outside of the higher educational mainstream. 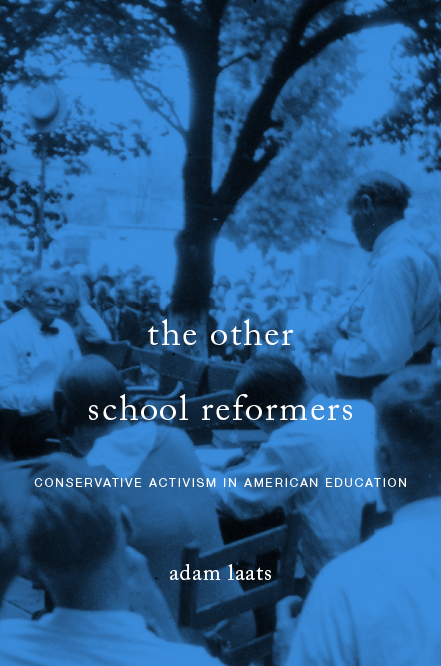 As I’m arguing in my new book about the history of conservative evangelical higher education, however, the truth has always been more complicated. Wheaton is NOT outside the mainstream here. Rather, this is exactly the sort of action that is taking place at elite colleges across the nation. Obviously, no pluralist, liberal, or secular school would suspend a professor for an act of theological un-clarity. As we’ve seen over the past few months, however, elite colleges everywhere are suspending professors and administrators for actions and statements that seem inconsistent with their non-theological convictions. Like Professor Hawkins, for example, Erika Christakis at Yale has left her teaching duties. Why? Because she wrote an email that many students found unsettling. We might say that Christakis’s suspension was due to her lack of sufficient “clarity” about her racial ideology. Or, we might consider the case of Mary Spellman at Claremont McKenna College. Did Dean Spellman make racist comments? No, but her attempt to care for one non-white student seemed to lack clarity to many students and activists. SAGLRROILYBYGTH are sick of hearing it. But I think it is true, and I think this episode is further proof: Mainstream colleges today are moving more toward the “impulse to orthodoxy” that has been the hallmark of conservative evangelical colleges like Wheaton. It’s easy enough to point out differences, of course. At Wheaton, pressure came from conservative alumni and administrators. At the other schools, pressure came—at first—from students. At Wheaton, the statement of faith is explicit and official, whereas the other orthodoxies are implicit and tentative. In the end, though, I think the parallels are striking. At elite colleges these days, instructors, students, and administrators are expected to do more than agree generally and in principle with their schools’ current orthodoxy. They are expected, rather, to agree with forceful clarity. They are expected to avoid any statement or action that “seem[s] inconsistent” with dominant moral ideas. To this reporter, it looks as if Wheaton College continues to be more similar than different from other elite schools these days. Why Go to Fundamentalist U? To Get a Better Job! Excellent point. When you say, “Mainstream colleges today are moving more toward the ‘impulse to orthodoxy’,” are you suggesting both that (1) Mainstream (or ‘any’-stream) colleges have always exhibited an impulse to orthodoxy of some kind (with which I would agree); and (2) That this impulse is stronger or more compelling now than before (in which case, why?–the answer of which I realise merits a book)? Joshua, I agree that all colleges–indeed all schools–have always exhibited some sort of “impulse to orthodoxy.” All schools, that is, have some ideas that are non-negotiable, ideas that all members must agree to in order to remain. I think the language and tactics at elite American colleges these days are not new, either, but rather a logical development from late-1960s/early-1970s themes. Elsewhere, I call this “insurgent inclusionism.” I disagree with Jonathan Haidt and Greg Lukianoff–though I admire Haidt’s work and often agree with his arguments–that this is due to the 1980s parenting trend toward ever-greater “coddling.” Rather, I think of this as a moral tradition; an often-overzealous attempt by smart young people to demonstrate their standing on the side of the angels. In the case of Wheaton College, we are not seeing any overzealous attempts by young people to uphold theological orthodoxy–it is the administrators. This kind of thing is maddening to me, a now unaffiliated Christian. There are plenty of “Protestants” who agree that the three major religions of Judaism, Christianity, and Islam worship the same God. It is the claim that Wheaton makes, that it is the arbiter of what is Protestant orthodoxy, that is truly troubling. The dishonesty of that statement is evident. There is no single Protestant POV. Rather, Protestantism is made up of many sects. And this kind of thinking is what makes me nervous when I hear Presidential candidates tout an idea of the USA being a “Christian” nation. As much as I dislike Donald Trump, he is wise to steer clear of answering specifics about his own passion, or lack thereof, when it comes to his private beliefs. Due to their political coalition and big business-sponsored development of a national religiosity in the 1950s, Evangelicals have come to think they “just know” what is “Christian” and what isn’t. They label all kinds of things “Christian” or “anti-Christian” with such random incoherence and irresponsibility, no one is taking it seriously anymore outside the sectarian bunkers. You are right about that.